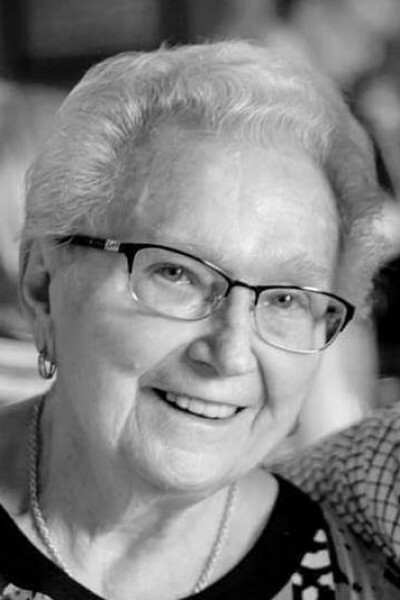 Johanna “Hanni” Suhrmann, beloved wife, mother, and Oma, passed away peacefully on August 22, 2018 at the age of 89. Born in Mittweida, Germany on May 31, 1929, Johanna immigrated to Canada with her family in 1959. They made their home in Winnipeg, MB until 2001, when they moved to Langley, BC. Johanna is predeceased by her son, Jurgen, and her sister, Elfi. She will be loved and missed by her husband of 70 years, Heinz, daughters Brigitte and Marita (Ray), the grandchildren and great-grandchildren that brought so much joy to her life, and the adopted family she collected. She will always be remembered for her determination, her glowing smile, and her love of travel. A Celebration of Life will be held Sunday, September 9th at 1 pm at 19645 – 64th ave, Langley BC. In lieu of flowers, donations can be made to the Langley Hospice Society in Johanna’s memory.